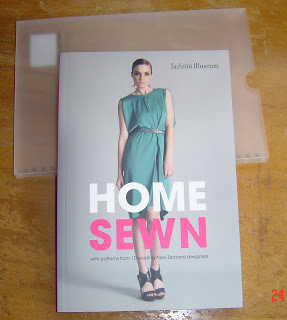 In response to interest shown, here is a peek at the book I mentioned in my last post, Home Sewn. 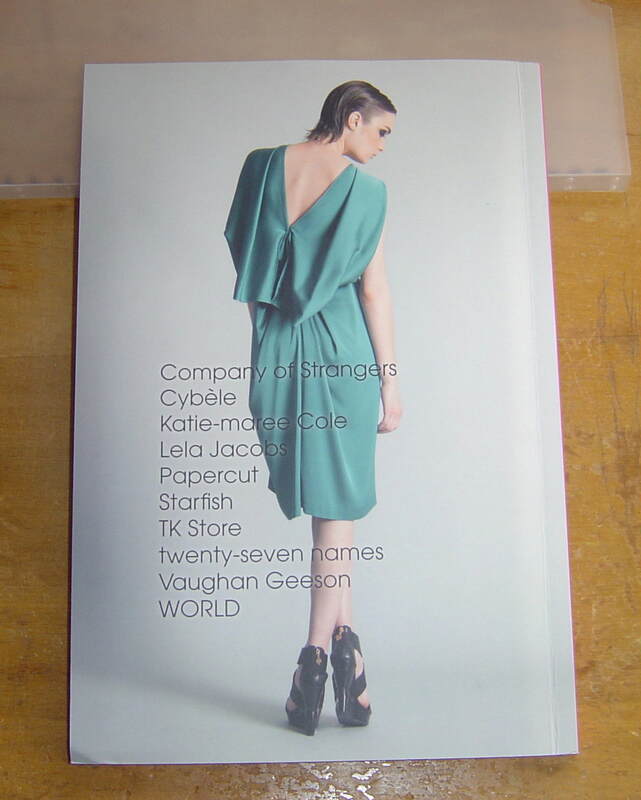 The ten designers who contributed patterns are listed on the back. The book begins with 12 pages outlining the history of home sewing in New Zealand. 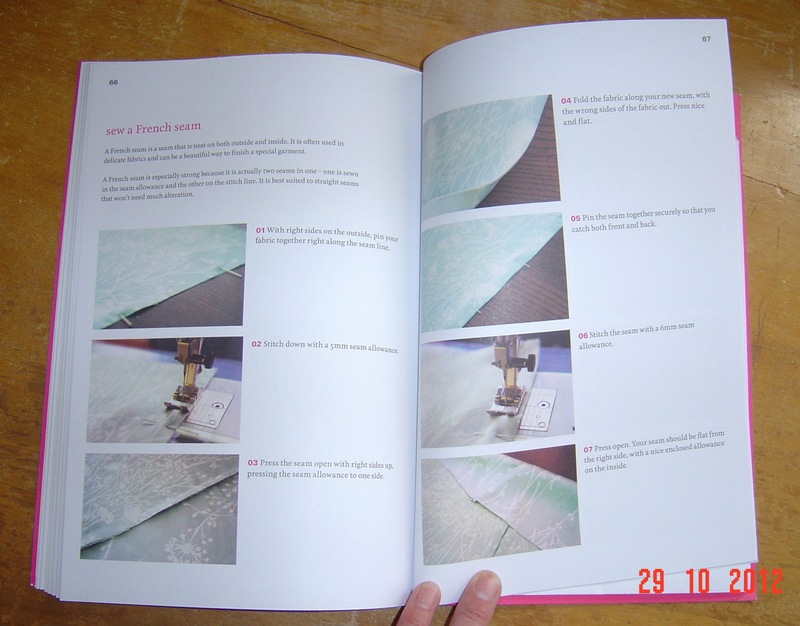 Who sewed and why they did it, along with examples from several. 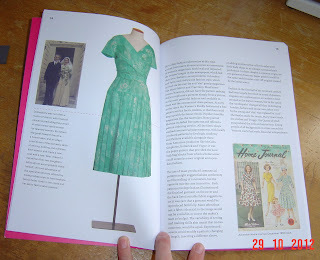 As one with a keen interest in the history and evolution of dress, this fascinates me. (I mean "dress" in its broadest sense, encompassing all body modifications - everything a person does that alters their body from its natural state. That includes the temporary, such as hair styling and make up, as well as the permanent, such as tattooing and scarification. 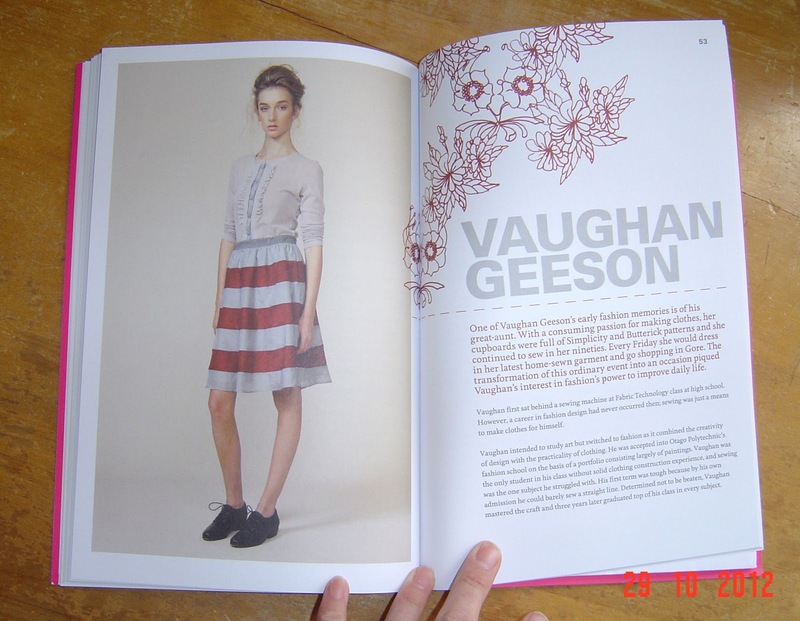 Hmm, does it show that I really really enjoyed my Social Psychology of Clothing lectures?) 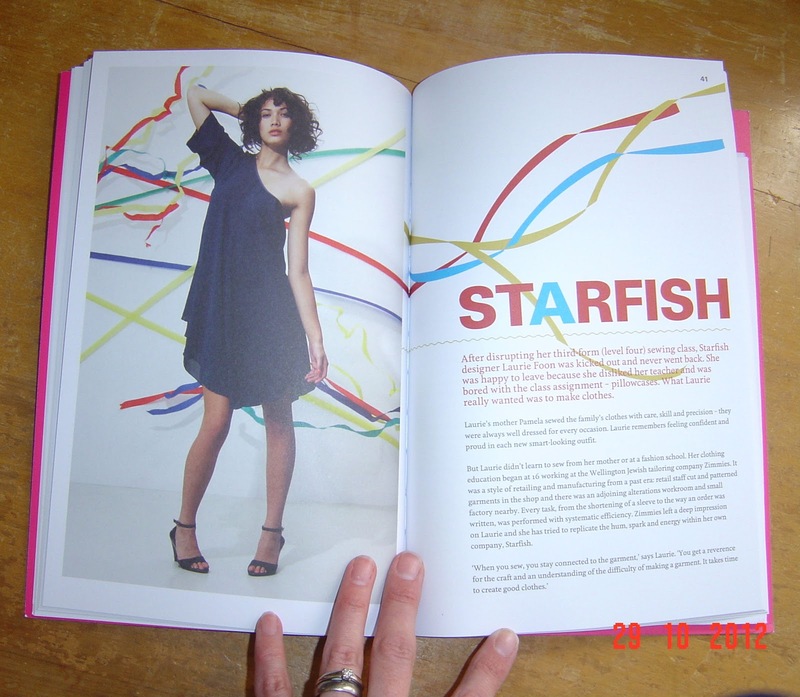 Twelve pages is not a comprehensive account, but it gives a very good outline of how things were in New Zealand and how that affected the desire or need to sew for oneself. Then come the patterns, each with a brief profile of the designer. 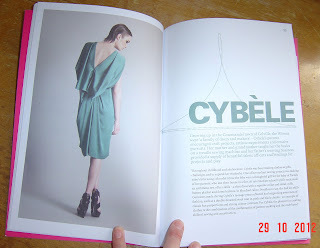 This is Cybele Wiren's profile and design. 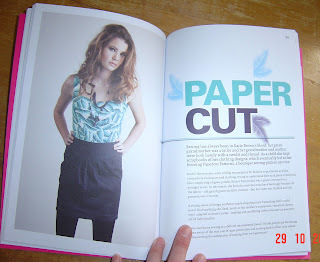 This skirt, from Papercut Patterns, is also available for sale here. Katie Brown, the designer of Papercut, is also responsible for developing the patterns, lay plans and tutorials in the book. The book is also available for sale on the Papercut website, here. Or one of these ways. My apologies for the really crappy photos. I gave up in the end trying to get anything better. 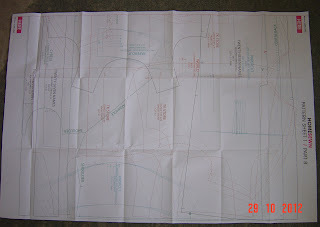 I was really attracted to the line drawing of the main pattern piece. This will be made just as soon as the appropriate fabric presents itself. As will this striped skirt by Vaughan Geeson. Those stripes are pieced. And curved. Can't wait! 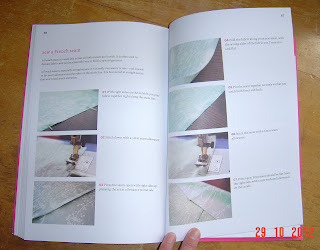 At the back are several photo tutorials covering techniques used in the book. 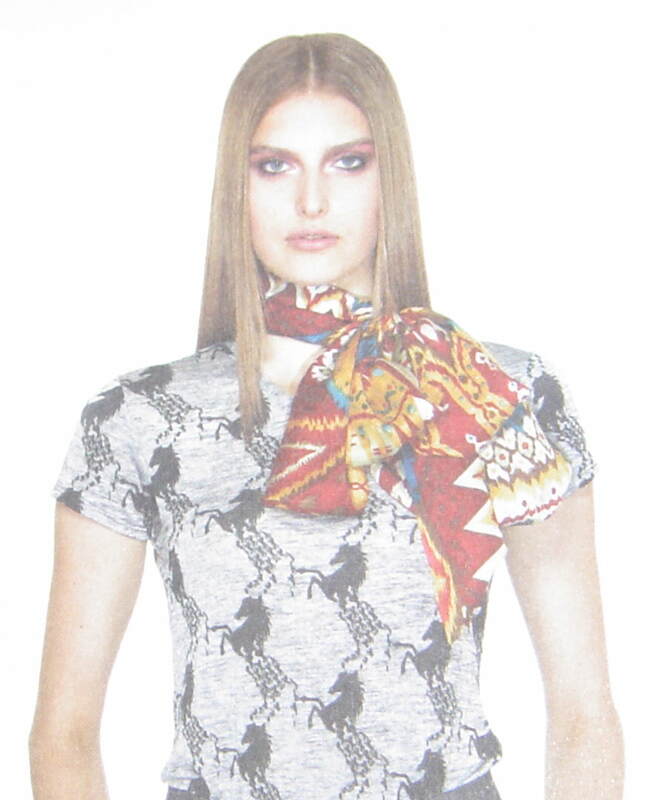 Patterns are printed on pattern sheets, with each pattern in a different colour. I did find while tracing my dress that the two very similar pieces were so close together that I had to keep checking that I didn't veer off into the other piece as I traced. Not a big deal, but it did require care. 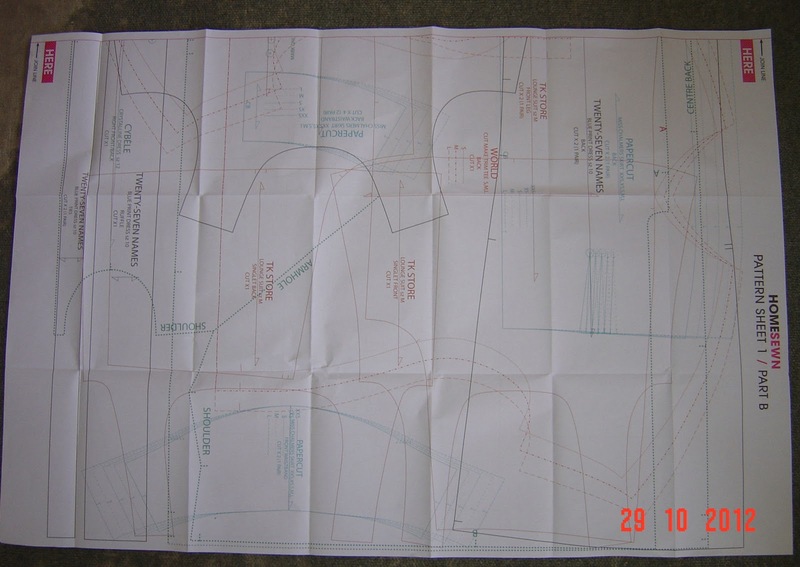 Some patterns are multisized, but most are given in a single size - NZ10, 12 or medium, so you either need to fit that size or know how to grade. I tried a dozen times to get better photos than these but this was the best I could do. 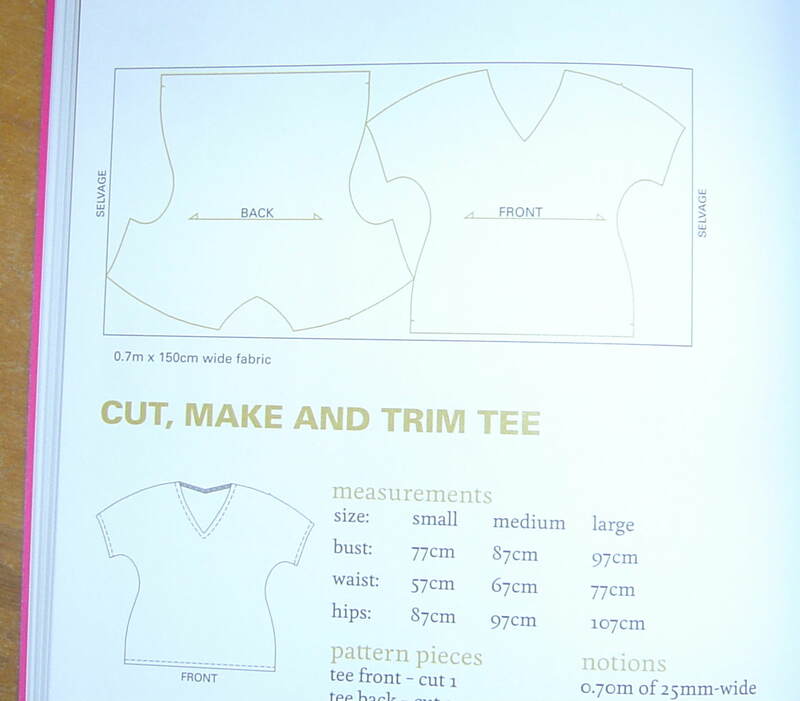 It appears to me that the T shirt in the photo has attached sleeves, which would give a closer fit than the cut on sleeves of the pattern. I don't THINK I'm wrong about the seam, but its always possible! 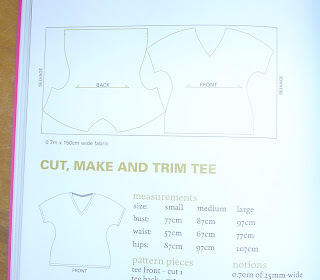 As I mentioned in my last post, instructions are minimal, making some of the designs challenging for beginners to sew. But what fun to have my own Cybele dress for the princely sum of NZ$15 for the pattern (based on NZ$45 for the book, used for three patterns, therefore $15 each) and $3 for the fabric. 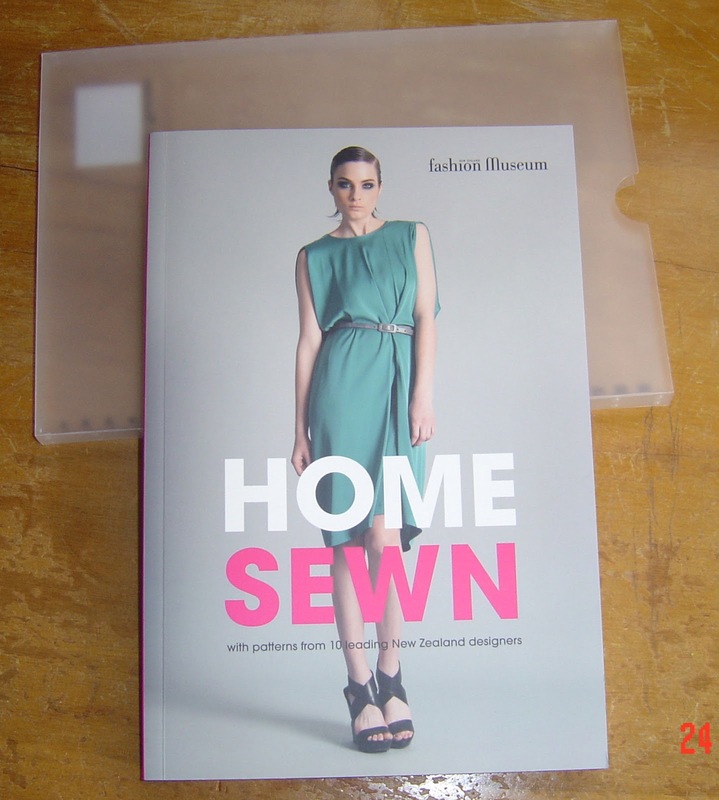 I love this book, and I love that this book has been written, and I am grateful that ten New Zealand designers each contributed a pattern to celebrate the long history of home sewing, and to help keep it going. I'm so pleased to find a review of this. I had been admiring it in my local bookstore. 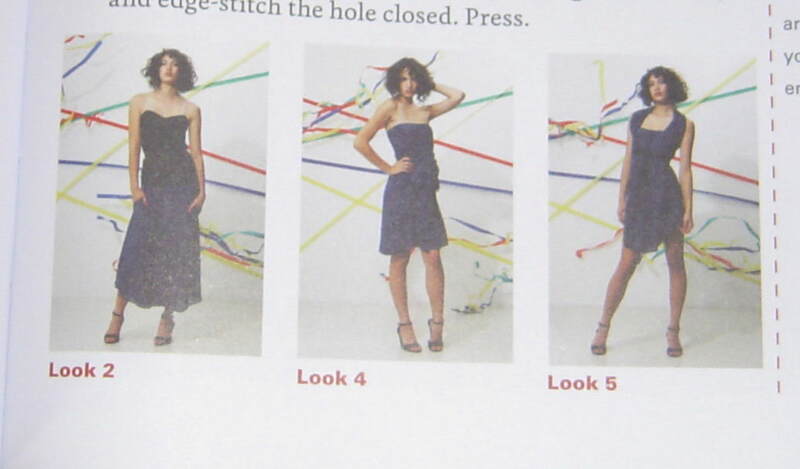 Please let us know how the dress turns out when it is ready.